Japan are rich in nature, with many elements and resources, cultures and arts that are famous throughout the world. 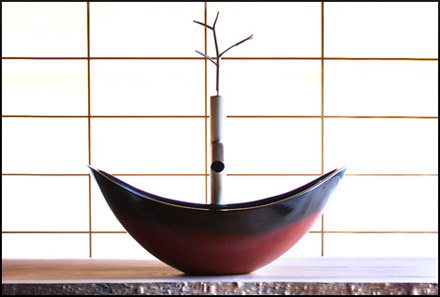 With japonenses elements has created a lot of artistic craftsmanship that has been introduced in daily life. It retains the spirit of knowledge of ancient artisans. 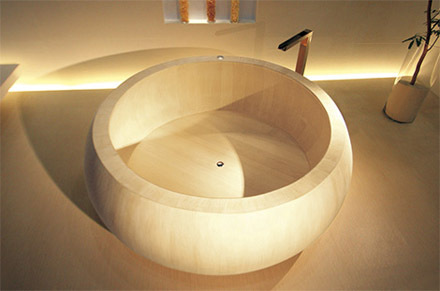 Here we see tubs and sinks, a lacquered wood and other natural wood. Japan has been famous for its exquisite lacquered furniture. This striking, traditional craft dating back 5500 years ago, the Jomon period. The meticulous painting process has been perfected over the years. 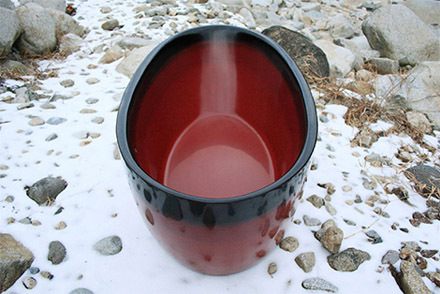 Lacquer is completely organic, is made from the sap of trees. With silky smooth lacquer finish applied to wooden tubs, these tubs are a real delicacy. Heat resistant (up to 800 degrees) is not affected by hot water. On the other hand, the collection is made of natural wood with high quality techniques of Japanese craftsmanship. Having a hot bath or “furo” is an important part of Japanese life style. These parts are made of cypress wood, which has traditionally been used for Buddhist temples. It is fine grained and very fragrant. This wood has some benefits, such as disinfecting and repel insects. 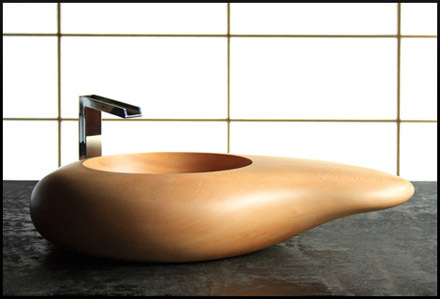 This entry was posted in Bathroom, Theme Decor and tagged japan bathroom decor idea, japan bathroom design. Bookmark the permalink.